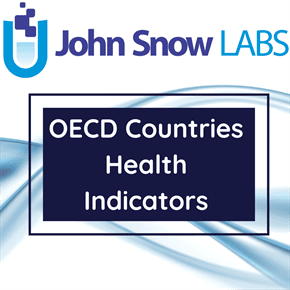 This dataset contains infant, neonatal, perinatal and maternal mortality estimates for countries members of OECD (The Organization for Economic Co-operation and Development), for OECD key partners and countries in accession negotiations with OECD. The estimated values of the four birth and related indicators, cover periods from 1960 to 2015. Some of the international variation in infant and neonatal mortality rates may be due to variations among countries in registering practices of premature infants. Most countries have no gestational age or weight limits for mortality registration. However, some countries specify limits based on some combination of gestational age, birth weight or survival. At the same time some variations exist in the definitions of fetal deaths in some countries and as such, care should be exercised when making comparisons between countries. The Eurostat database is the main data source for all European countries. For non European countries, time series are completed based on national data for selected years. The number of deaths of children under 28 days of age in a given year, expressed per 1000 live births.